The Mendenhall Glacier a 12 mile long glacier is in Mendenhall Valley situated 12 miles from downtown Juneau in Southeast Alaska. It is a popular tourist attraction. However, few visitors tend to see the glacier form its most remarkable vantage point, inside it. The glacier and the surrounding landscape are federally protected as part of the Mendenhall Glacier Recreation Area which is a unit of the Tongass National Forest. The glacier initially was known by two names, - Sitaantaagu – Glacier behind the Town and Aak’wtaaksit – Glacier behind the Little Lake, by the Tlingits. The glacier was named Auke Glacier by John Muir, naturalist for the Tlingit Auk Kwan band in 1888. Towards 1891, it was again renamed in honour of Thomas Crowin Mendenhall. Its source tends to extend from the Juneau Icefield to Mendenhall Lake and finally the Mendenhall River. The Ice Caves are said to be in the interior of the glacier and accessible only to those who prefer to kayak to and later climb over the glacier. The glacier however seems to be retreating fast due to global warming which heats the oceans with a rise in temperature. Water seems to have carved caves in its interior creating surreal, turquoisetoned worlds where the shapes seems to be changing continuously Supervised by the Juneau Icefield Research Program since 1942, the Mendenhall Glacier has ebbed by two miles since 1958 while earlier in 1500; it had retreated only 0.5 miles. The end of the glacier presently has a negative glacier mass balance and tends to continue to retreat in the probable future.The caves seem to be part of a function of these increased global melting. Trip to the Mendenhall ice caves is a difficult journey involving a long hike, an ice climb and faith that the melting caverns would not collapse, besides the kayak ride. However, witnessing the incredible landscape is a one in a lifetime experience. Taking into consideration the average yearly temperature is presently increasing and the outlook for this trend continues, it would be possible that the glacier could experience a period of stabilization or small advance at the time of its retreating trudge. This is owing to the increased amount of warm moist air being carried up to the top of the Icefield where cooler ambient temperatures tends to cause it to precipitate as snow. The increased quantity of snow tends to feed the icefield probably adequate enough to balance the constantly increasing melting occurring at the terminus of the glacier.But this occurrence would turn away if the temperature endures to climb as the top of the glacier would no more have adequate cold ambient temperature to cause the snow to precipitate. 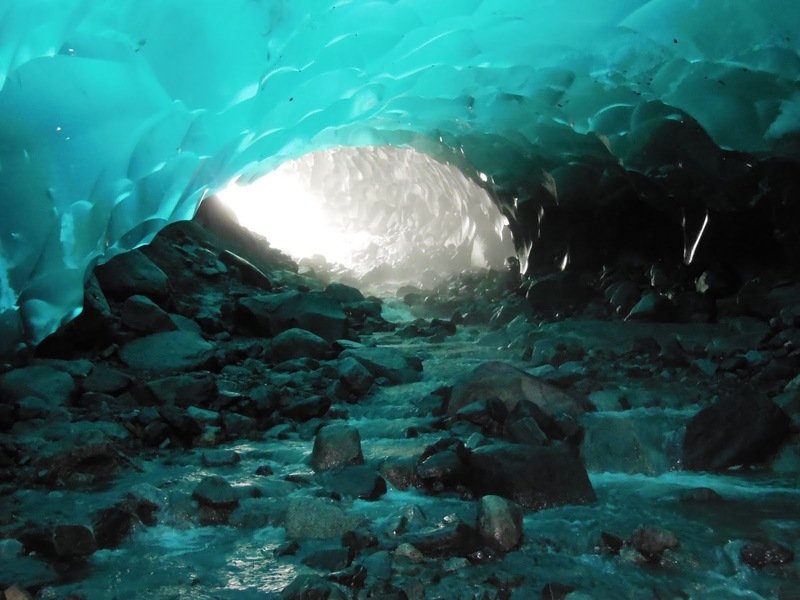 Lately, the ice caves at the Mendenhall have received a lot of publicity since the glacier’s recession has enabled access to curious visitors, but there are no public trails to Mendenhall Glacier ice caves. Being beautiful, the glaciers are constantly changing and could be dangerous to visitors. Glacier should be visited only along with professional guide though visiting the ice caves is strongly discouraged. The U.S. Forest Service has cautioned those intending to take up an expedition to the ice caves.